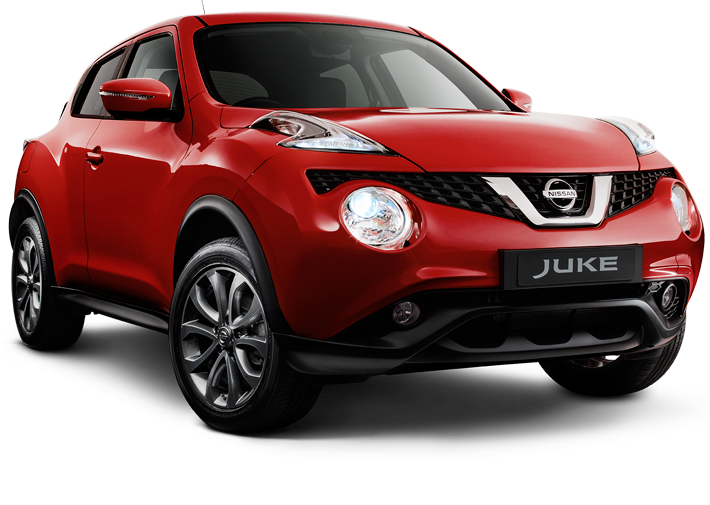 NISSAN JUKE. MAKE A SPLASH. 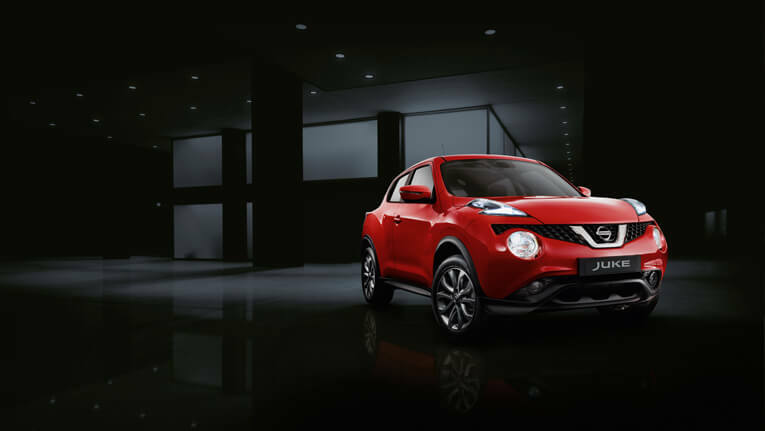 It’s a lot to ask, but the Nissan JUKE delivers big with a higher ride, quicker driving response, and a distinct ability to turn heads. 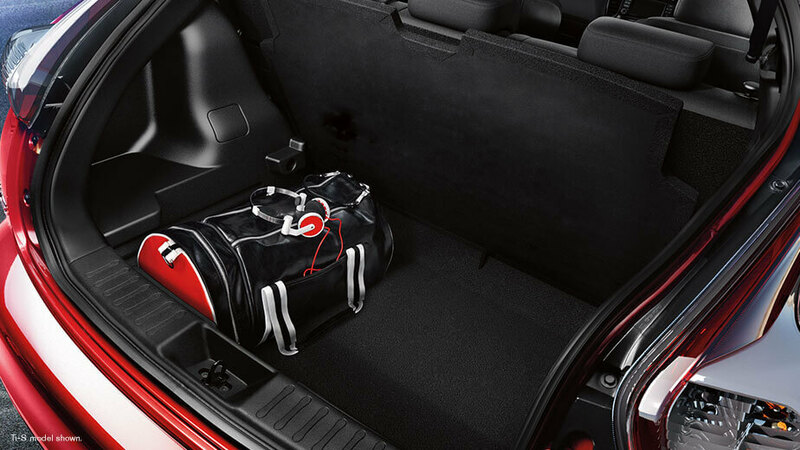 This unique compact car gives you serious boost along with fuel efficiency, and an innovative All-Wheel Drive system* that actually turns power into grip. Want more style? You can customise details inside and out, to make it unique to you. 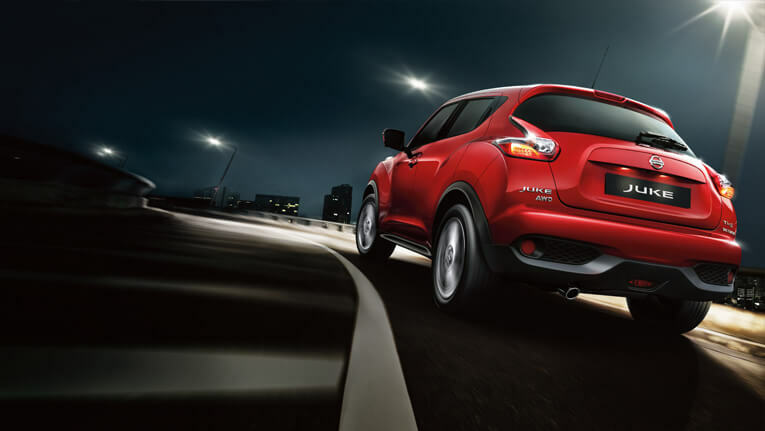 With the Nissan JUKE, you really can have it all. *Available on Ti-S Auto model only. 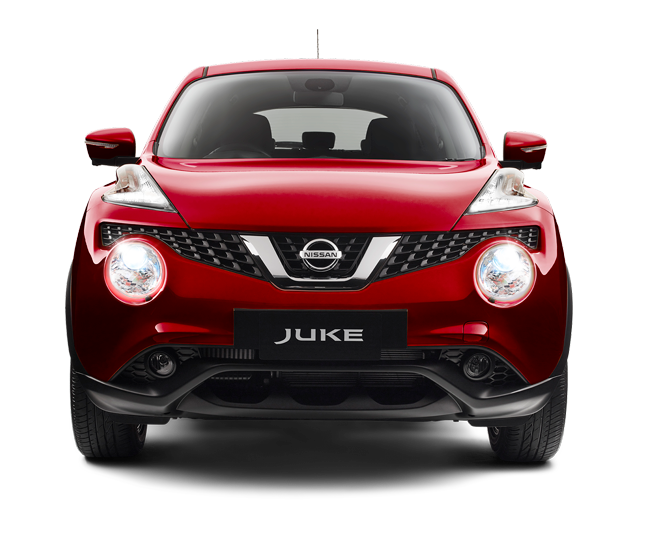 Available on the Nissan JUKE Ti-S. ^Leather accented features and upholstery may contain synthetic material. Ready to ride? 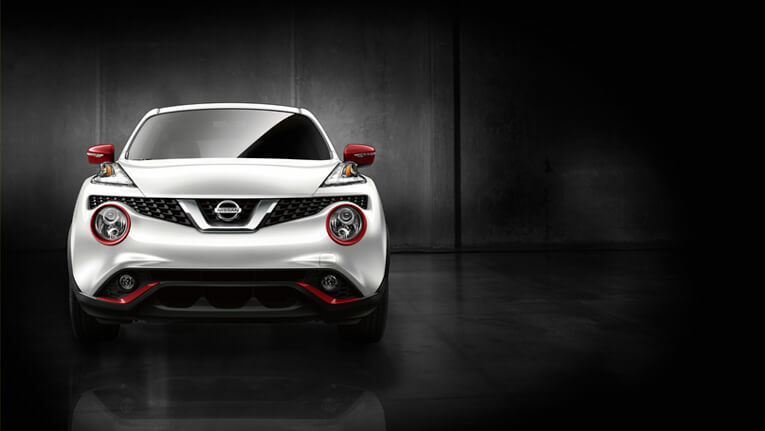 Inside the Nissan JUKE, you’ll find a pulse-raising centre console inspired by the radical lines of an Italian sport bike. 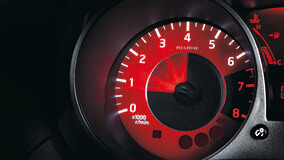 Circular gauges help keep the controls, and your thrills, in check. 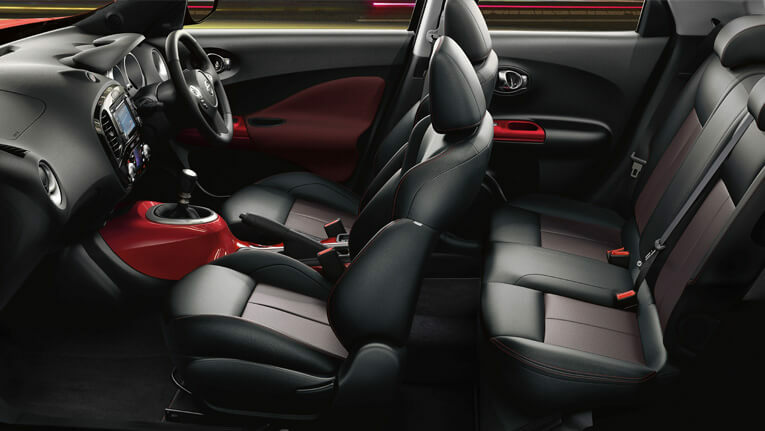 And stitching on the seats and steering wheel ensure you’re ready for a gripping performance. TI-S Manual in Vivid Blue, Overseas model shown. Ti-S Manual model shown with grey interior trim. 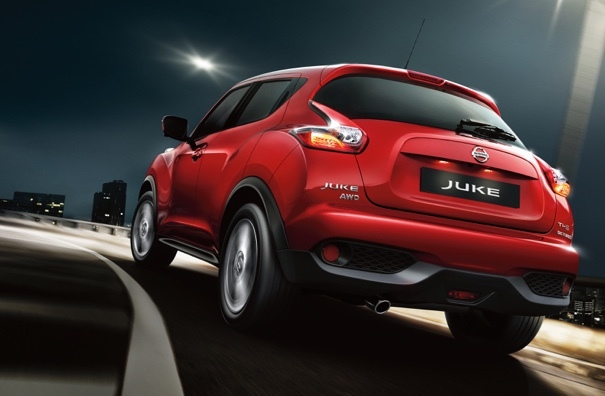 The roominess inside JUKE is surprising. 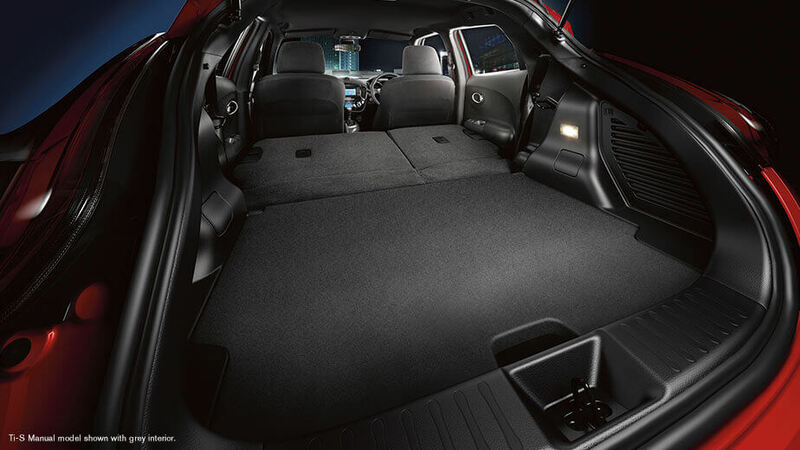 It offers high trunk capacity with smart, versatile options. Pack in larger pieces of luggage or longer, bulky gear thanks to modular 1/3 – 2/3 folding seats and a 2-level adjustable cargo floor. It’s got your back, and the rest of you too. What if parallel parking was easier? A rear view monitor is great when backing up – but when it comes to parking, it’s nice to see more than just what’s behind you. 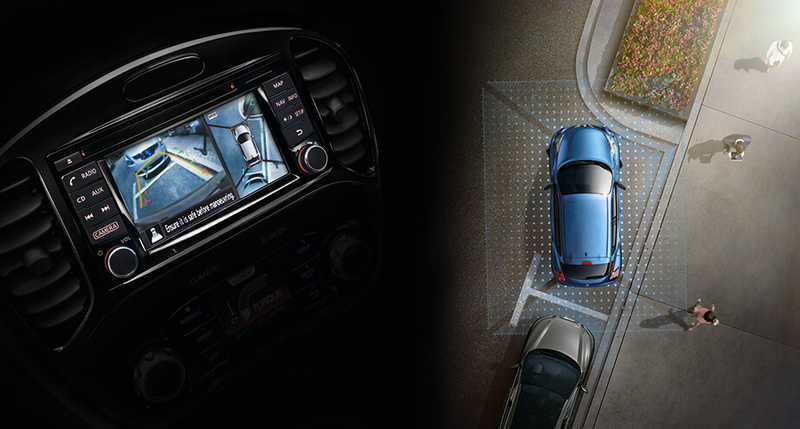 That’s why the Nissan JUKE Ti-S offers an Around View® Monitor. Four cameras give you a virtual 360º bird’s-eye view of your vehicle, with selectable split-screen close-ups of the front, rear, and curbside views, so you can get a better look. Ti-S models only. Around View® Monitor is a driver’s aid only and may not cover all blind spots. Moving Object Detection® may not detect every object. Always check surroundings before moving vehicle. 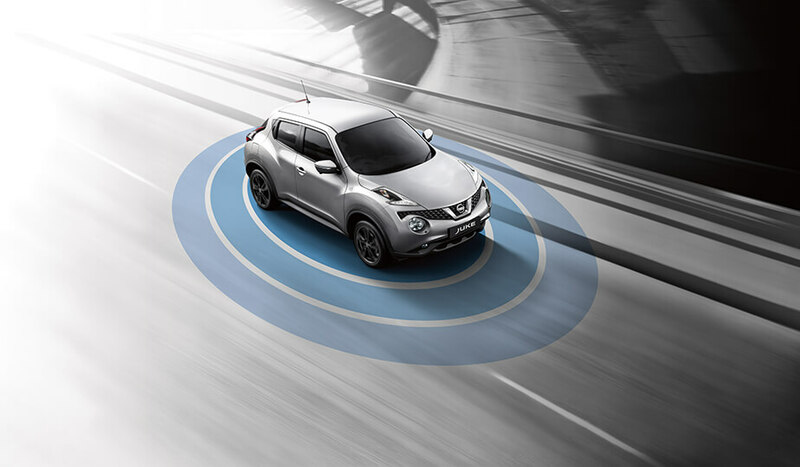 And since all obstacles aren’t stationary (shopping carts, we’re talking to you), Moving Object Detection® keeps an eye around your Nissan JUKE Ti-S and can warn you about moving objects detected in your vicinity. 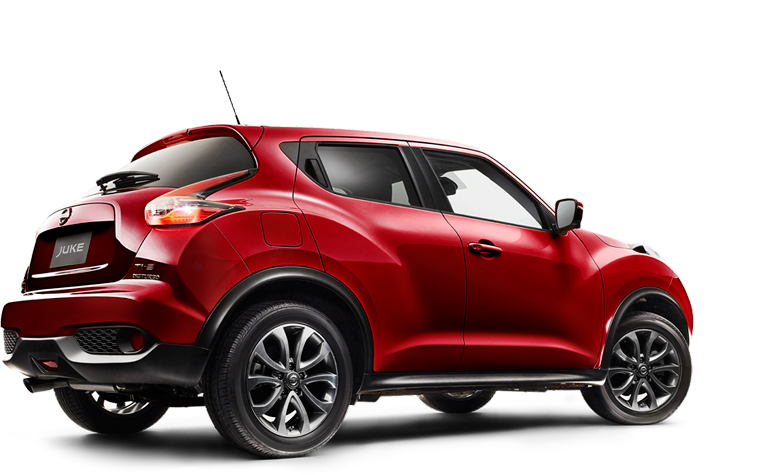 Your JUKE. Designed by you. Make a statement. 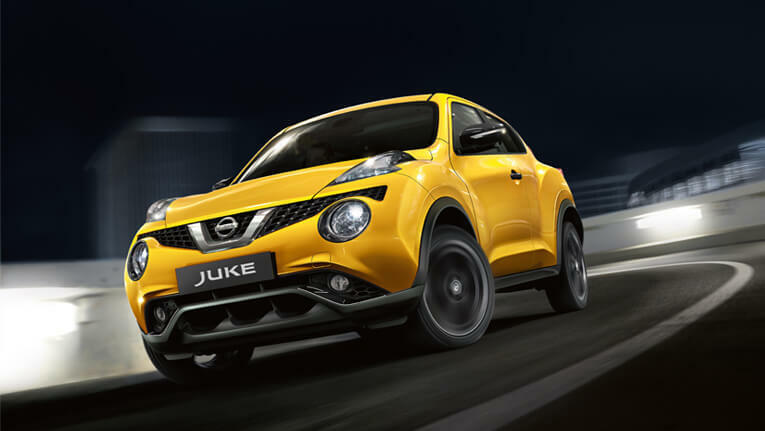 With three types of personalisation packs to choose from, you can make your JUKE as stylish and unique as you are. 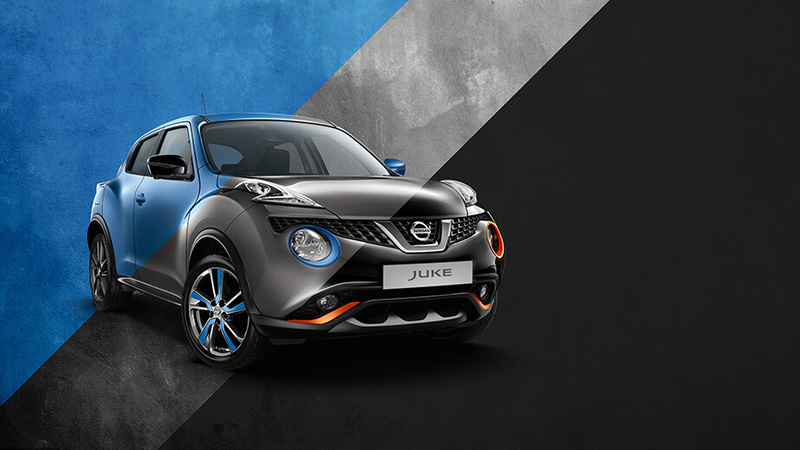 Spruce up your JUKE with your choice of Tokyo Gloss Black, Energy Orange and Power Blue. 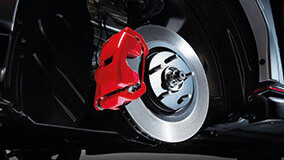 Wouldn’t it be great if you had the confidence you need for every part of your drive? 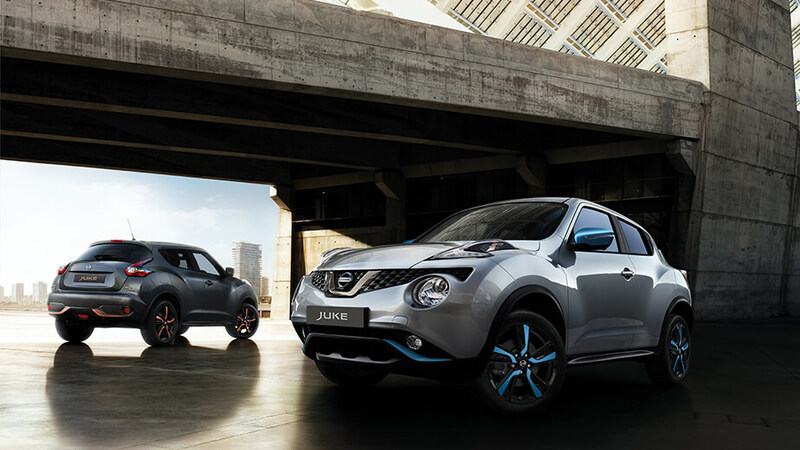 The Nissan Safety Shield® technologies are a comprehensive approach to safety that guides the engineering and development of every vehicle we make. 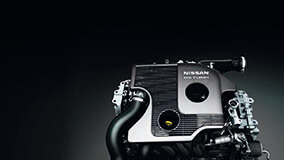 The features described here are just some of many on your Nissan, helping to protect you on the road. 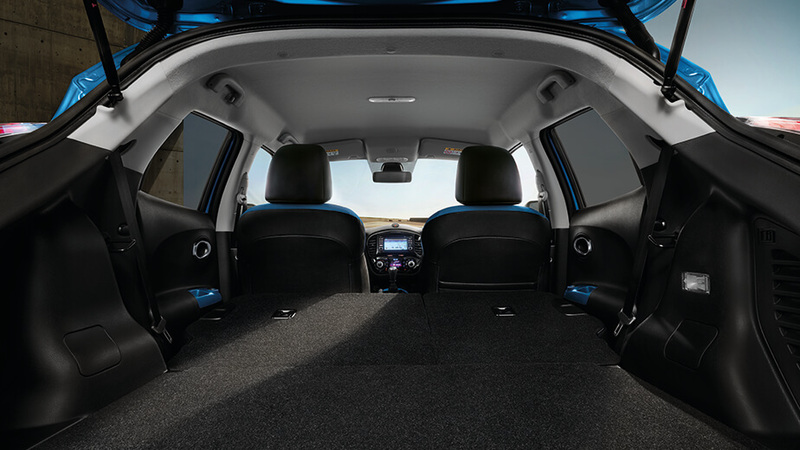 When you get motorsport engineers to re-invent an SUV, you know the result is going to be anything but ordinary. 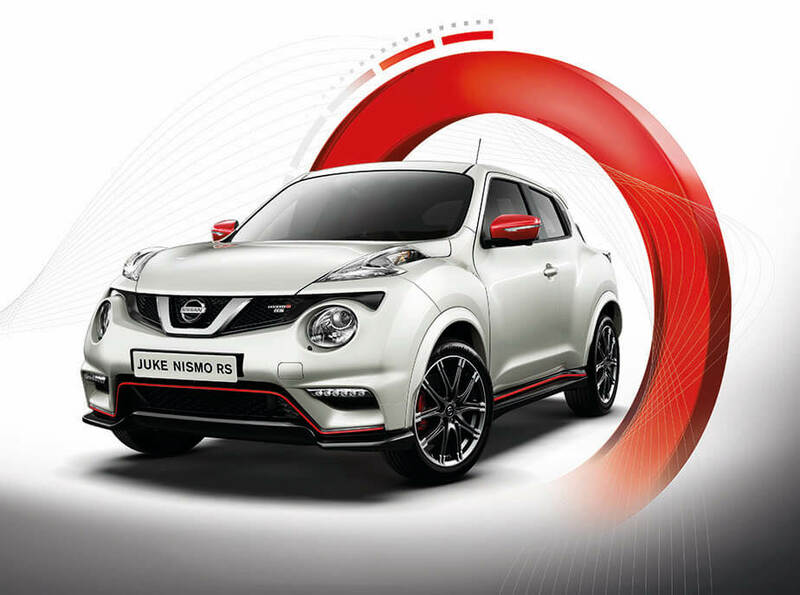 Combining a hair raising 1.6 litre DIG-T tuned engine with a specially designed exhaust, the NISMO JUKE looks and sounds like no other car of its kind. 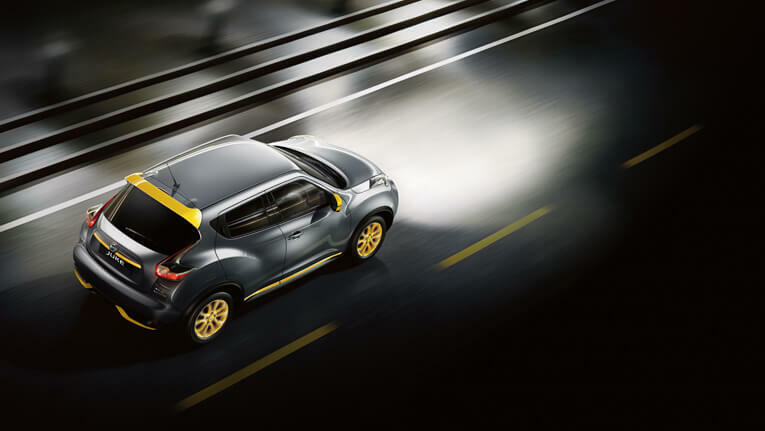 Taking design inspiration from the GTR, the aerodynamic JUKE RS features a rear diffuser, modified rear spoiler and 10 spoke smoked alloy rims.